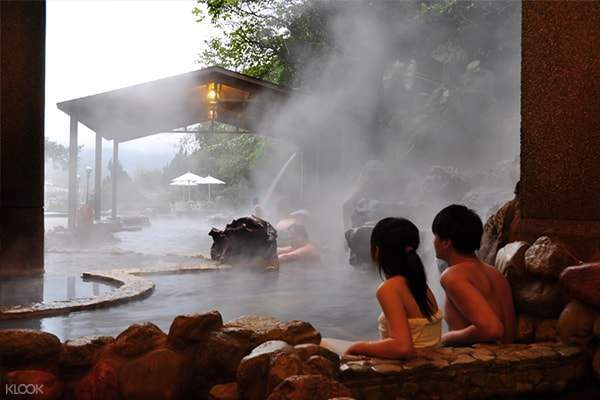 Enjoy the convenience of round trip bus tickets so you don't have to worry about commuting to the hot spring! 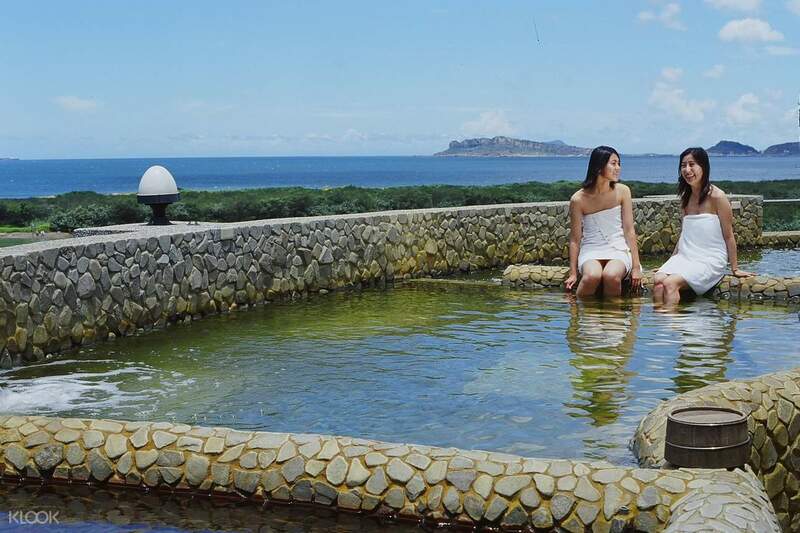 Enjoy a relaxing soak in the hot spring waters of the famous Governor-General Hot Spring in Jinshan. Located on the northern side of Yangmingshan, the volcanic National Park, this area is high up in the clouds and is just north of central Taipei. Set in spectacular surroundings, the geology of the area is thought to contain many healing properties. It produces carbonic acid water at temperatures of 45-86 degrees Celsius, which not only moisturizes the skin, but also stimulates blood circulation. 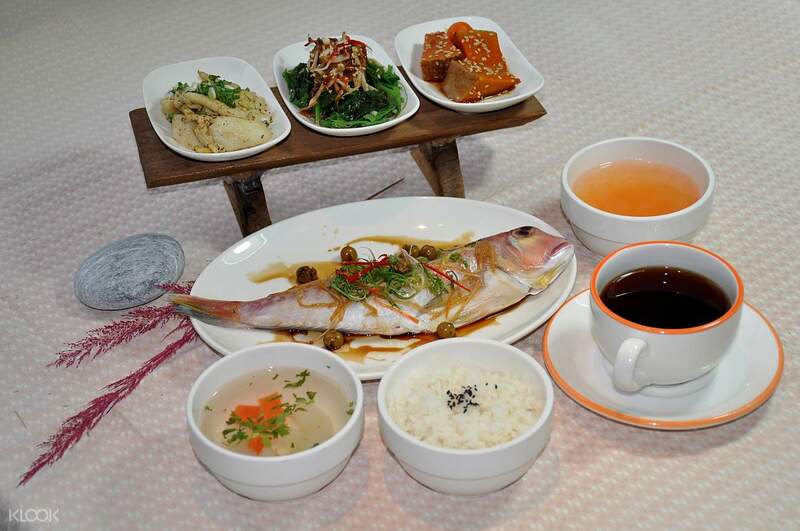 With an experience package from Klook, you also get to enjoy the convenience of round trip bus transfers—no need to worry about the hassle of public transportation. All you need to do is sink into the warm waters, feel your ailments fade, and let your tension float away. This is the perfect treat for yourself or a loved one! It's an old facility according to a local we met when we visited, but very well equipped. Not many people during weekday morning, so it was easy to try the baths. Be aware that you will need to walk about 10-15mins from the nearest station if travelling via public bus. It's an old facility according to a local we met when we visited, but very well equipped. 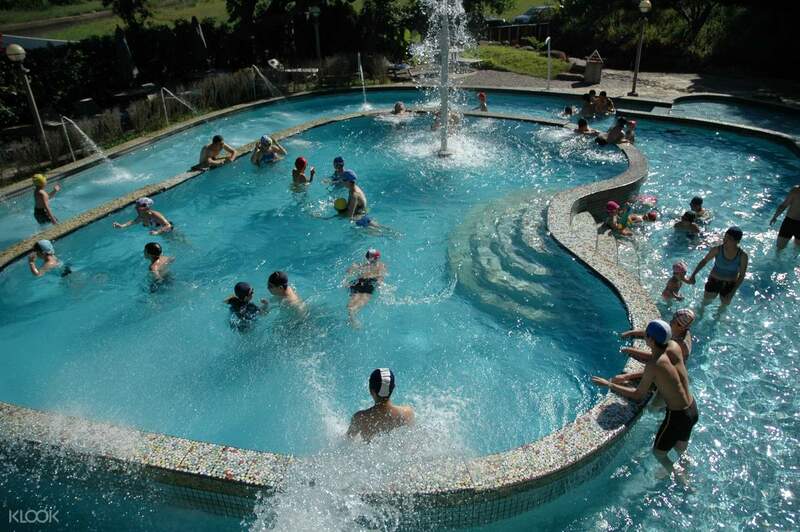 Not many people during weekday morning, so it was easy to try the baths. Be aware that you will need to walk about 10-15mins from the nearest station if travelling via public bus. Nice hot spring but spent too little time there (90 mins) due to traveling time (an hour one way). Quite worth it and suggest to put a side more time to enjoy the hot spring more. Quite an old and nice establishment. Nice hot spring but spent too little time there (90 mins) due to traveling time (an hour one way). Quite worth it and suggest to put a side more time to enjoy the hot spring more. Quite an old and nice establishment.